Writer and intellectual figure, Arshi Pipa (1920-1997) spent ten years in prison (1946-1956) in communist Albania before escaping to Yugoslavia and emigrating in 1958 the United States, where he taught university. It was in America, in an ephemeral organ of the Albanian exile press, that he published the following article on the purge of virtually all Albanian writers after the communist takeover, most of whom he had known personally. For decades, this article was the only first-hand information in the West on the situation of Albanian writers and intellectuals in the early years of Stalinist Albania. Albanian writers have always been in the vanguard of Albanian nationalism. The language they use, the Albanian language, is more than a simple means of expression, as is the case in other more advanced European cultures. It is also the standard-bearer of the nation, the incarnation of all the historical and cultural qualities that distinguish the Albanians from other peoples. Over time, Albanian writers have made use of their language as a sacred heritage, preserving and purifying it, supplementing and strengthening it. It was Frang Bardhi, in the 17th century, who compiled the first dictionary of Albanian. He was concerned that the Albanian language would degrade and become bastardized. He also raised his voice to defend the Albanian identity of Scanderbeg against a Slavic Catholic priest who claimed that our national hero was a Slav. Bardhi was himself a Catholic priest, but he was an Albanian Catholic priest. The early writer, Pjetër Budi, was also a champion of popular resistance against Ottoman occupation. He endeavoured to organise an uprising against the Turks. By fighting for Christianity, he was also fighting to defend his homeland, just as Scanderbeg had done earlier. We all know what took place on 7 April . Taken by surprise and caught up in a fascist dictatorship, our national pride cringed and cowered for a while. Some Albanian writers, among whom were Branko Merxhani, Anton Logoreci and Tajar Zavalani left Albania at the time in a sign of protest. Despite all the compliments it paid and money it spent, Italian fascism was not able to win Albanian writers over. Only a very few of the best-known Albanian writers sided with fascism. National conscience awoke to the perils the nation was facing. Typically, the first reaction to the occupation came in a protest against the use of the Italian language, which was threatening to eliminate Albanian altogether. The voices of Albanian writers against foreign occupation and against the fascist military dictatorship began to be heard, and resonated throughout the country when fascism fell. Albanian writers were to write the most illustrious pages in the annals of their literature in a new period of oppression, this one more savage, another dictatorship, this time more cruel, with a foreign ideology just like the one before it. This time, too, there were some Albanian writers who embraced the new ideology, but once again, very few. In the autumn of 1945, the Communist Party of Albania, organised the first Congress of Albanian Writers under the leadership of Sejfullah Malëshova, onetime minister of popular culture and one of the most powerful communist figures. Virtually all Albanian writers, young and old, were invited to attend. Among them were many young communists who had written an article or two in the underground communist press. This was the easiest way of filling the rather thin ranks of communist writers. Malëshova set the tone. At the opening session, he recited his own poems that were received with enthusiastic applause from the young communists. He overshadowed the other members of the presidency, among whom were venerable writers such as Ndoc Nikaj and Vinçenc Prennushi. Although he was a communist, Malëshova understood something about art and culture in general. Having been Fan Noli’s personal secretary, he left Albania when the Noli government was overthrown and, before moving to Moscow, he studied in Italy and received a Western education. He was wont to quote Dante when he spoke or wrote. In 1945, he gave a seminal lecture on Albanian literature in which he expressed his opposition to radical groups within the Party who wanted to ban authors like Fishta, Konitza and Schirò from Albanian literature classes. This more moderate, more Western approach, which was also reflected in foreign policy, was interpreted as “opportunist” when his rivals rose to power. Malëshova was sidelined and later expelled from the Party. With his fall, political extremism triumphed. Major writers such as Fishta, Konitza, Schirò, Mjeda, Prennushi and Poradeci, were expelled from literature textbooks as if they were rags to be thrown out. Also expelled were other writers who had had ties with political parties during the occupation. Malëshova was replaced by Shutëriqi. 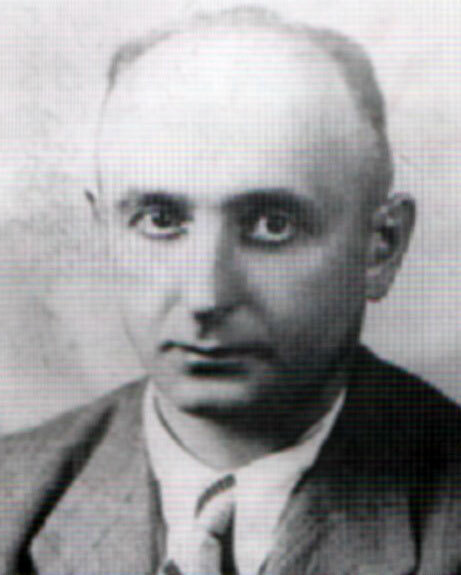 Dhimitër Shuteriqi was not Malëshova’s equal – neither in his writings nor in the dignity that an early communist might have had. He is a prime example of the literary mediocrity that characterizes Albanian literature in the communist period. When he was a student in France, he wrote a few poems, some modernist “pastiches” of the period, but was not even sure himself whether they were really poetry or not. He called them Kangë (Songs). His poetry of the communist period is no better. It is replete with pompous rhetoric. A good example of this is his panegyric of Enver Hoxha whom he describes as a sort of God that, with the light of his profound thinking, radiates and revives Albania. With the removal of Malëshova, the last bit of freedom was taken from literary composition. From then on, Albanian literature followed in the wake of Soviet writing, copying its themes and forms and even borrowing from its lexicon. Our literature became a pale reflection of Soviet literature, one of the many “national” literatures based on Russian, not unlike, say, Azeri or Tadjik literature – national in form and socialist in content. Only the language, reduced to the level of a propaganda machine, distinguished Albanian literature from the literatures of the peoples of the Soviet Union. Malëshova had intended to replenish the ranks of communist authors with non-communist writers. His policy was to assimilate them gradually until they accepted communism. For this reason, he included in the editorial board of Bota e Re: Organ i Shkrimtarëve Shqiptarë (New World: Albanian Writers’ Journal) not only communists, who were lacking in quality and quantity, but also a few of the best-known young non-communist writers. With this fall and with the beginning of the new spirit in literature, no patriotic Albanian writer could sit on the fence. They were either with the communists or openly against them, and the latter would suffer the consequences. It is of significance to note that, initially, very few Albanian writers of the period actually joined the ranks of the communists. Most of them kept their distance and some were openly critical. The latter were soon eliminated, either by being killed or imprisoned. The rest withdrew and learned to accept what they were being forced to accept. The most important gain the communists made was in the figure of Sterjo Spasse, a talented and productive prose writer. They also won over Nonda Bulka, a figure of less importance from an artistic perspective. Another “fellow traveller” was Haki Stërmilli. Of the real militant communists, if we exclude Malëshova here, only one really merits the distinction of being called a poet - Aleks Çaçi, but his literary inspiration soon flagged under communism. He has written nothing of worth for some time now. Another poet who in his day wrote prosaic verse of empty propaganda was Shefqet Musaraj. In Çaçi’s poem “Oh Myzeqe” we can at least find a few moving lines here and there, inspired by his love for his Albanian homeland and by the hopes of the Myzeqe peasants for a better life, whereas nothing good can be said of Musaraj’s stale propaganda satire Epopeja e Ballit Kombëtar (Epic of the National Front) which is drenched in political rage. Of the other leading communist writers who are still “active” today, mention can be made of only two: Dhimitër Shuteriqi and Kolë Jakova. Dhimitër Shuteriqi has now abandoned poetry and has turned to prose. His recent novels are no better than his early poetry. Shuteriqi is devoid of inspiration and fantasy. What does go to his credit at least is that he is a hard worker. He has compiled anthologies, and authored literary texts and critical studies that are among the best produced in the communist period. Kolë Jakova is the communist “playwright.” He is a mediocre writer of barbarian audacity. His major work Halili dhe Hajrija (Halili and Hajrija) is a flagrant example of literary incompetence. These four writers, Aleks Çaçi, Shefqet Musaraj, Dhimitër Shuteriqi and Kolë Jakova, are now communist classics. Another four men, Andrea Varfi, Petro Marko, Mark Ndoja and Skënder Luarasi could be called communist heretics. Andrea Varfi, a pioneer of the early days before the Communist Party, fell victim to the wave of terror that swept the country in 1947. He was lucky not to spend much time in prison. With the fall from grace of Koçi Xoxe, he was released and returned to the ranks of his “comrades.” He prefers writing poetry, which is at least well composed. Petro Marko, the Albanian “Bohemian” hoped from the start that by writing poems such as Era ndër pantallona (Wind in their Trousers) in a style as unruly as his curly hair, he would become the Albanian Mayakovsky. Two years in a prison cell in Tirana were enough to dampen his lively temperament. He has recently returned to prose and, with the book Hasta la Vista, has described his experience in the Spanish Civil War. Worse was the case of Mark Ndoja, a one-time deacon, who turned savagely on his spiritual fathers when the storm broke loose. His actions were, however, not sufficient to convince the communist hierarchy that his church connections belonged to the past. He was indicted for ideological deviation and slumped slowly to the rank of a normal renegade, where he is now. Skënder Luarasi was another figure who fought in the Spanish Civil War. He taught literature and sowed the seeds of communism in Albania. He was fortunate enough not to be imprisoned. Luarasi is not a writer of any great originality, but is among the best Albanian translators. Among his works are translations of which libraries in communist Albania are proud: Byron’s Childe Harold, Walt Whitman’s Leaves of Grass, and the first part of Goethe’s Faust. The above-mentioned figures conclude the early period of communist literature. Not included here are younger communist writers who arrived on the scene after the installation of communist power. They can be dealt with in another article, where it will be seen that they are no match for the older figures. But before continuing on to the last part of this work, we must mention a group of Albanian writers who did their best to come to terms with communism so that they would not suffer the same fate as their colleagues. We will concentrate on four well-known figures, two older and two younger: Ali Asllani and Lasgush Poradeci, Vedat Kokona and Nexhat Hakiu. Ali Asllani of Vlora, the author of Hanko Halla (Auntie Hanko), one of the most characteristic poems of Albanian literature, remembered for its folk contents and intrinsic artistic value, brought some sparks of life to literature in the stormy year of 1944. They were extinguished with the arrival of communism. He stopped writing, but was spared by the communist, no doubt due to his advanced age. Lasgush Poradeci, the best lyric poet of Albania, the “swan of Lake Ohrid,” has been silent for some time now. A few of his poems appeared during the Italian occupation but they were hermetic and arid, a pale reflection of the pristine and ponderous magic of the lacustrian lyrics of his youth. His muse vanished entirely under communism. One hears of him from time to time as a translator. It was Poradeci who translated Eugene Onegin, perhaps the most beautiful translation ever made into Albanian, with the exception of Fan Noli’s version of the Rubaiyat of Omer Khayyam. Short story writer and poet, Vedat Kokona, was one of the leading figures of pre-communist literature, known for the originality of his ideas and his elegant language modelled on the French classics. He has translated several works and has recently published a few poems, to pay his toll to communism. The same thing can be said of Nexhat Hakiu, author of Këngët e Zamares (Pipe Songs) who, with youthful élan, plunged into the ever-verdant fountain of popular verse, to come up with unique melodies of unexpected hues and colours. His pipes have been heard recently again, though vaguely, but enough to show that he is still alive. Yet the sounds they convey are from a broken instrument. The vast majority of Albanian writers, old and young, rejected and refused to submit to communism. Opposition was strongest among the Ghegs of northern Albania, around Shkodra. The dean of Albanian writers, Ndoc Nikaj, perished in a Shkodra prison. He was born in 1864 and was imprisoned in 1946 when he was eighty-two years old. It is difficult to imagine at that age that he was, according to the standard indictment, plotting to “overthrow the government by force.” He certainly did not welcome communism, and this was sufficient reason for the communists to have him rot in prison. They forgot the fact that this man had once published the Albanian newspapers Bashkimi and Besa Shqiptare and was the author of the first novels ever written in Albanian, Bukurusha, Bërbuqja, Shkodra e Rrethueme (Shkodra under Siege), Tivari i marrun (Bar Captured), etc. and also, at the end of the last century, published the first history of Albania. Another writer, and one of the oldest from Shkodra, Vinçenc Prendushi [Vinçenc Prennushi], died in Durrës prison in 1949. He was a highly respected figure in Albanian literature, right after Gjergj Fishta and Ndre Mjeda. His verse, collected in the volume Gjeth e lule (Leaves and Flowers), is that of a gentle soul in tune with nature and gives proof of his love of all creatures and his compassion for their sufferings, much in line with the teachings of the holy man of Assisi who founded the order to which Prendushi belonged. At other times, the patriotic sentiments of this Franciscan priest gave rise to appeals to defend the country, to save Albanian land. Prendushi’s lyrics stem from the people, from whom he derived his inspiration. In poems such as Vajza Shqiptare (The Albanian Maiden) he is so in tune with oral verse that people knew them by heart. 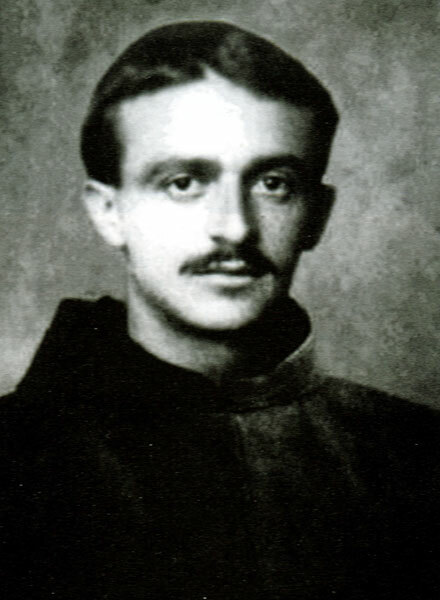 Together with another Albanian Franciscan, Shtjefën Gjeçovi, Vinçenc Prendushi is remembered for having initiated the systematic collection of Albanian folklore. This material provided the basis for the Franciscan periodical Hylli i Dritës (The Day-Star). In Sarajevo in 1911, he published Kângë Popullore Gegënishte, one of the seminal volumes of Albanian folklore. He devoted his life to writing, adapting plays such as E Trathtuemja (The Betrayed One) and translating well-known novels such as Quo Vadis and Le mie prigioni (My Prisons), and poems such as Dreizehnlinden by Weber. None of this work was in the service of communism and he refused to give them his support. This was his error, his only error. Vinçenc Prendushi, as is well known everywhere, never had anything to do with politics. Nikaj and Prendushi both died in prison. Lazër Shantoja, Anton Harapi and Ndre Zadeja were executed. Who were these latter figures? Lazër Shantoja was one of the most admirable men in the country, a figure of refined taste and more than average talent. He did not write regularly, but was more wont to compose on a whim. His literary works appeared in various periodicals as memoirs, impressions and discussions, usually enlivened with delightful and typically Scutarine humour. He also wrote a very few, beautiful poems, and was one of the best translators. From German, he translated Schiller’s Lied von der Glocke (Song of the Bell), parts of Faust and, in particular, Goethe’s verse epic Hermann und Dorothea. Shantoja may have given fascism his moral support and I do not want to justify this. But I am against the Macchiavellian practice of judging writers only by political criteria and not making the necessary distinctions, for objectivity’s sake, between the man and the artist, between ethical and aesthetic values. 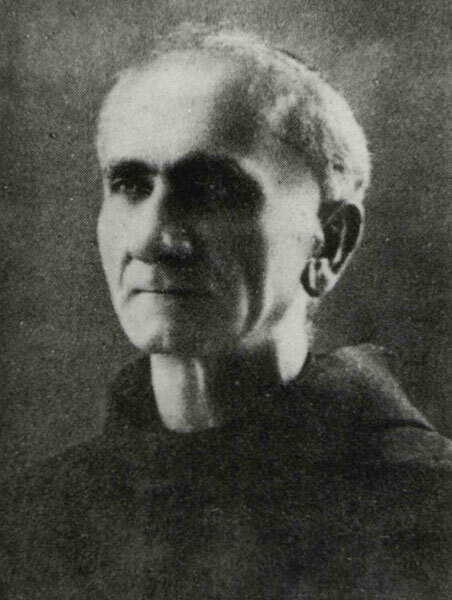 Anton Harapi, another Franciscan, is among the best Albanian writers, known for works such as Valë mbi valë (Wave upon Wave), with forceful and captivating lectures. Lectures are regarded as a literary genre and with them, Father Anton gained his place in Albanian literature. His most impressive lectures are those on national themes. Father Anton Harapi is thus more than simply a writer, he is one of the great figures of Albanian nationalism. Father Anton’s noble words in defence of the fatherland, spoken in April 1939 in the presence of the Italian Foreign Minister, will never be forgotten by Albanians. With Shantoja, the communists had a figure they could defile and denigrate with their hatred, and with Anton Harapi, they had someone whom they could tarnish and call a Quisling regent. Though convincing no one, they could tarnish him because his bore the cross at a critical moment of Albanian history. But what could they find to say about Ndre Zadeja, another of their victims? Ndre Zadeja was never involved in politics. He spent his life in the service of his religion and writing Albanian books. Among the latter are dramas of Albania’s past, in which he lauded the virtues of the Albanian nation and its spirit of resistance when it was oppressed but not conquered in foreign – Italian or Turkish – occupation. His patriotic spirit was vested of a “pathos” rarely found among writers. Ndre Zadeja composed Albanian melodramas in the style of Fishta. When performed, Ora e Shqipnisë (Albania’s Good Fairy), Hijet e Zeza (The Dark Shadows), Rrethimi i Shkodrës (The Siege of Shkodra), Ruba e Kuqe (The Black Kerchief) and Rozafa (Rozafa) always received thunderous ovations. He was a talented writer and a great patriot. His family often gave shelter to Albanian nationalist who were being persecuted by the communists. And for this reason, they put him to death. The Albanian communists carried out their war under the motto of anti-fascism. But many an Albanian anti-fascist landed in prison or was executed by them. There are many other examples like the ones given above. Among other writers who suffered are: Nikollë Mazrreku, Gjon Shllaku, Manush Peshkëpia, Musine Kokalari, Kol Prela, Izet Bebëziqi and Qemal Draçini. The complete list would take up too much space. Aside from his many other valuable writings, Nikollë Mazrreku (alias Nik Barcolla) raised his voice courageously against the Italian occupation in his well-reasoned pamphlet Skandali Cordignano (The Cordignano Scandal). He was imprisoned by the communists. Another religious figure, Hafiz Ibrahim Dalliu, the author of various writings and publisher of the satirical newspaper Grenzat e Kuqe (The Red Wasps), that was published during the first regency, passed away in a communist prison. After the Italian occupation, Gjon Shllaku took over publishing the well-known Franciscan periodical Hylli i Dritës. He had received his doctorate in philosophy at the University of Louvain. Trained with a good dose of culture and vitality in the style of Gjergj Fishta, Father Gjon gave Hylli i Dritës a more personal tone. Gjon Shllaku expressed his opposition to fascism. The pages of Hylli i Dritës included powerful patriotic appeals from time to time against the fascist occupiers, for instance, the lead article Asht Toka e Jonë (It Is Our Land). Gjon Shllaku also opposed communism when it spread in Albania. Hylli i Dritës of course ceased publication. What he could no longer do in print, Father Gjon continued to do orally, with his public speaking. He was soon arrested and shot to death at the beginning of 1946, accused of being the main organiser of Bashkimi Kombtar, an anti-communist nationalist organisation. It was at this time that a wave of terror overwhelmed the Franciscan order and the Catholic clergy in general. Among those killed or imprisoned were the Franciscan writers Bernardin Palaj, Donat Kurti and Viktor Volaj. Bernardin Palaj was slain. He was a major literary figure, among the best. He was the author of a number of moving poems, all in a nationalist vein, among which was Kosova, full of musicality. He wrote many excellent articles on Albanian folklore and customs. In 1937, together with Donat Kurti, he published the second volume of Visaret e Kombit (The Treasures of the Nation) that included the best and most complete variants of the rhapsodic songs of the Mujo and Halili cycle which the two Franciscans recorded after patient years of collection. This book is one of the greatest and most representative monuments of Albanian folklore, equal in rank to the Kanun of Lekë Dukagjini. Viktor Volaj also spent time in prison. Aside from his collaboration in Hylli i Dritës with criticism and other writings, he republished some of the best known works of Fishta and included in them lexical annotations and explanations on metrics. Up to here, we have concentrated on writers who were members of the clergy. Let us now turn to the lay writers. Among those who were killed are: Kol Prela, Salahudin Toto, Beqir Çela, Qemal Draçini and Manush Peshkëpia. Kol Prela, an Albanian language teacher, collaborated in Hylli i Dritës with articles of criticism. He was one of the nationalists who, deceived by the communists, worked with them during the war for national liberation. The communists selected him as a deputy in the first legislature. He was a just, honest and courageous man. When he realised what communism actually meant, he turned against them and spoke openly of his disappointment. This he paid for with this life. The same fate was met by Salahudin Toto, who was also a deputy. He was an engineer by profession, and had devoted himself to translations and political writings. Beqir Çela, a teacher, won the 1937 competition for the national anthem. He also did translations from English that turned out rather well. He had been a student at the American Technical School run by Harry Fultz. After the liberation, Mr Fultz came back to Albania as head of the American Mission. Accordingly, Beqir Çela went to pay him a visit. This was the corpus delicti for which Çela was arrested, tortured and forced to confess to things that were not true. He was subsequently executed (1947) as an American spy. Qemal Draçini was a young fellow from Shkodra who, as a secondary school student, had sympathised with the ideals of communism. Later on, when he realised what was going on around him, he abandoned the “sins of his youth.” He was arrested in the purge of 1946, after the Postriba uprising. They tortured him savagely. On the verge of going insane, he choked, and died. The writings of Qemal Draçini, short stories and literary criticism, appeared in various periodicals, in particular in Fryma (Inspiration). This journal, published throughout 1944 by Muzafer Pipa, another victim of communist terror, was run in good part by Draçini who was responsible for the editorial process. The periodical began with the lively support of a group of young men in Shkodra, but later expanded its base to encompass the whole country. Among its collaborators were: Mitrush Kuteli, Sterjo Spasse, Ali Asllani, Izet Bebëziqi, Arshi Pipa and Astrit Delvina. Manush Peshkëpia has a history of his own. He was arrested in the early days, was convicted at the Special Court of Tirana and sentenced to five years in prison. He served four of them and was then released. But his release coincided with the bomb that was thrown at the Russian Legation in February 1951. As was subsequently learned, this bomb was planted by a member of the communist party. Over thirty people, so-called “reactionaries,” were shot on that occasion in reprisal. One of them was Manush. The poetry of Manush Peshkëpia appeared in various journals, in particular in Përpjekja Shqiptare (The Albanian Endeavour) run by Branko Merxhani. They are short but crystalline poems replete with gentle emotion and nostalgia. Professor Maximilian Lambertz included some of his verse in his anthology Albanisches Lesebuch (Albanian Anthology). The poetry is good, but even better was Manush Peshkëpia as a person. He was clear-thinking, open-hearted, of almost evangelical disposition, incapable of doing harm to anyone, even his enemies. Longer still is the list of Albanian writers who are or were in communist prisons. Some of them were sentenced to life in prison, such as Etëhem Haxhiademi, Musine Kokalari and Kudret Kokoshi. Etëhem Haxhiademi is a playright and the author of tragedies in classical style, such as: Ulisi (Ulysses), Akili (Achilles) and Aleksandri (Alexander), and tragedies with Albanian themes such as Pirrua (Pyrrhus) and Skanderbeu (Scanderbeg). He translated the Bucolics and Georgics of Vergil and compiled his own lyric verse in the volume Lyra (the Lyre). Musine Kokalari is the best-known female writer in Albania. She graduated from the Faculty of Literature in Rome in 1942, but began writing earlier when she was a student, publishing the volume Siç më thotë Nënua Plakë (As my Old Mother Tells Me), short stories written in her native Gjirokastra dialect. In 1944, she published another book in the same folklore style. She collaborated in many periodicals with various writings that gave proof of her literary talent. Musine Kokalari is also a figure of politics. 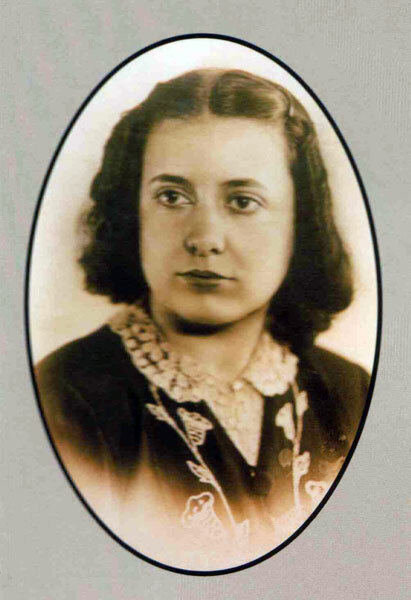 In 1944, she ran the underground newspaper Zëri i lirisë (The Voice of Freedom), organ of the Albanian Social-Democrats. In the night of 17 November 1944, when National Liberation Forces entered Tirana, the communists shot and killed her two brothers. On that very day, in line with Albanian custom, she put on mourning dress, which she has not taken off since then. She refused to teach under the communist regime. When she was arrested for anti-communist activity in early 1946, she defended herself at the military tribunal in Tirana, also defending the ideals of her country with rare courage and dignity. She has since spent many years in the infamous prison of Burrel, one of the few women to be held there. Kudret Kokoshi from Vlora is a judge who did his secondary and university studies in Italy. He published verse, in particular in a patriotic vein, in various periodicals where one senses the intertwining of Albanian folk verse from Labëria and classical literature. This style was initiated by Ali Asllani and, under his influence, continued with Manush Peshkëpia and Nexhat Hakiu. Kudret Kokoshi was given the longest prison sentence of all. 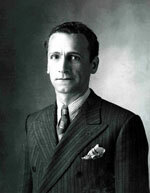 He was arrested for his nationalist activities by the Nazis in early 1944 and sent to Mauthausen concentration camp. At the end of the Second World War, he wanted to get to the free world, but was caught by the Yugoslav communists and handed over to the Albanian communist authorities. Since that time, he has been held in Burrel prison. Another writer who suffered and is still languishing in prison in Midhat Araniti. He wrote a lot in Albanian newspapers and periodicals, and towards the end, was an active contributor to the Revista letrare (Literary Review). He used dialect in his writing. Under the pseudonym Rem Vogli he published delightfully humorous sketches and portrays in Tirana dialect. Having completed a ten-year sentence, Midhat Araniti was taken directly from Burrel prison to a concentration camp at Kuç in Kurvelesh. Also in Burrel prison was the satirist and singer from Shkodra, Pjetër Gjini. He is the author of many amusing poems in folk style, such as Malsori në Paris (The Albanian Highlander in Paris). He is also the author of many humorous songs, both lyrics and melodies, that were well-known in Albania before the communist period. Another group of writers were those who spent time in prison and then got out after finishing their sentences. Among them is Gjergj Bubani, a talented satirical writer, known under the pseudonym Brumbulli, and a translator from Romanian, in particular of Viktor Eftimiu. 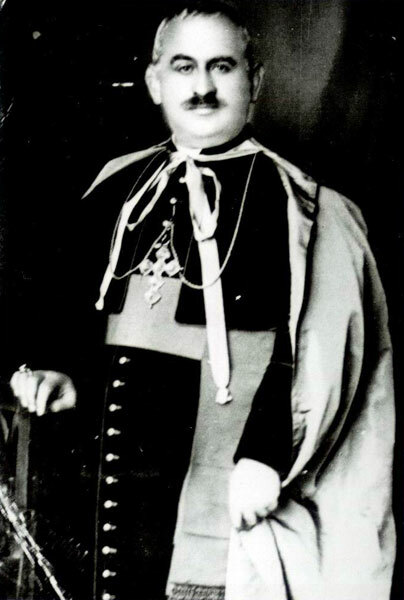 Bubani had once run the periodical Shqipëria e Re (New Albania) in Bucharest. Among the leading collaborators of this journal was Dionis Miçaço, author of cutting criticism and several beautiful descriptive pieces. Miçaço was in prison for ten years (1947-1957) where he landed because, as an honest judge, he sought to maintain a high level of impartiality in his work. Also imprisoned for a time was Dhimitër Pasko, known under the pseudonym of Mitrush Kuteli. He is one of the best prose writers, author of Netë shqiptare (Albanian Nights) and of Ago Jakupi (Ago Jakupi), collections that contain some of the best short stories ever written in Albanian. He also wrote literary criticism and some poetry, such as Poema kosovare (Kosovar Poem), and translated the Romanian poet Eminescu into Albanian. In 1944, together with Vedat Kokona, Sterjo Spasse and Nexhat Hakiu, he was on the editorial board of Revista letrare, a journal in which many of the best writers collaborated. It should be noted in passing that most of those who managed or edited Albanian journals in the troubled years from 1939 to 1944 ended up in prison or were executed by the communists. Examples have been mentioned above from the journals Hylli i Dritës and Fryma, but the situation was the same for the well-known Shkodra periodical Leka, whose editor, Father Dajani, was executed. Other members of the board, such as Mark Harapi and Gjon Karma, were imprisoned. 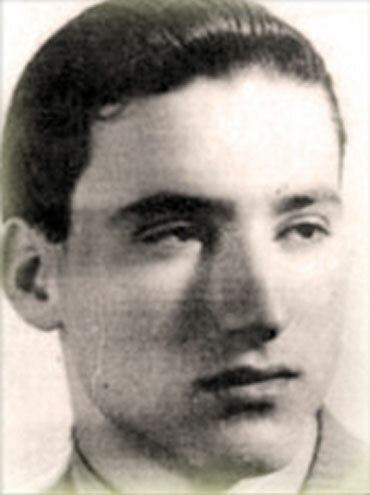 As to the editors of Revista letrare, aside from Kuteli, Nexhat Hakiu was imprisoned for a short while right after the liberation. Also in prison from 1946 to 1956 was Arshi Pipa, the author of the lyric collection Lundërtarë (Sailors). In 1944, he was director of the literary monthly Kritika (Criticism). Among others imprisoned were its contributors: Professor Selman Riza, a well-known Albanian linguist; Andon Frashëri, former editor of Dielli, the organ of the Vatra federation and author of the novel I funtmi i Kastriotëvet (The Last of the Castriotas); Pashko Gjeçi, an Albanian teacher, excellent literary critic and one of the best translators of classical poetry, known for his acute artistic sensitivities; and Astrit Delvina, one of the younger writers of great promise. Also imprisoned were: Izet Bebëziqi, an Albanian teacher, scholar of Arbëresh literature, and one of the earliest anti-fascists, who spent several years on the infamous island of Ventotene; Filip Fishta, another Albanian teacher, philologist and active scholar of the Albanian language; Nikollë Daka, a translator of Latin literature; Gjovalin Ljarja, Albanian teacher and poetry translator; Mustafa Greblleshi, youthful author of the novel Gremina e dashunisë (The Chasm of Love). There are others, whose names I have forgotten, and I am referring here only to writers. There are also other figures in the field of culture, such as: Mirash Ivanaj, who died in prison in 1953, author of several unpublished works, one of the most representative figures of Albanian culture; Koço Tasi (in Burrel prison), a legal expert and author of a good Greek-Albanian dictionary, who was sentenced to life in prison; Donat Kurti (in Burrel prison), collector and publisher of a fundamental work of Albanian folklore, the two volume Prralla Kombtare (National Folk Tales); and Stavro Frashëri, another active folklore expert who published several volumes of folklore. Not to be forgotten are journalists: Akilé Tasi, one-time editor of Dielli (now in Burrel prison); Fiqri Llagami, editor of Shqipnia (Albania) published in 1944; and two well known reporters, Nebil Çika and Aleks Mavraqi, who were seized and shot on the very eve of the liberation of Tirana. Here is the count of Albanian writers who were persecuted by communism: about ten executed, not counting those who died in prison, and about twenty others who spent years and years in prison - some of them are still wasting away there. It is an overwhelming tragedy for a little country like Albania, whose culture had just recently begun to blossom. But executing and imprisoning the majority of patriotic Albanian writers and by laming the others, the communist leaders were carrying out a specific strategy they developed to destroy the Albanian intellectual elite and its vanguard, the writers, in order to replace them with their own class of intellectuals and with their own writers. But what have the communists achieved in Albanian literature in the fifteen years in which they have had Albania’s fate in their hands? Communism wreaked destruction, but it was incapable of reconstructing. Albanian literature has been wiped out. Not one single good writer has emerged from the ranks of the communists, and what is more significant, is that those who initially showed some talent have now fallen silent. But we must leave this for another study.